The ability to reason about probabilities has ecological relevance for many species. Recent research has shown that both preverbal infants and non-human great apes can make predictions about single-item samples randomly drawn from populations by reasoning about proportions. To further explore the evolutionary origins of this ability, we conducted the first investigation of probabilistic inference in a monkey species (capuchins; Sapajus spp.). Across four experiments, capuchins (N = 19) were presented with two populations of food items that differed in their relative distribution of preferred and non-preferred items, such that one population was more likely to yield a preferred item. In each trial, capuchins had to select between hidden single-item samples randomly drawn from each population. In Experiment 1 each population was homogeneous so reasoning about proportions was not required; Experiments 2–3 replicated previous probabilistic reasoning research with infants and apes; and Experiment 4 was a novel condition untested in other species, providing an important extension to previous work. Results revealed that at least some capuchins were able to make probabilistic inferences via reasoning about proportions as opposed to simpler quantity heuristics. 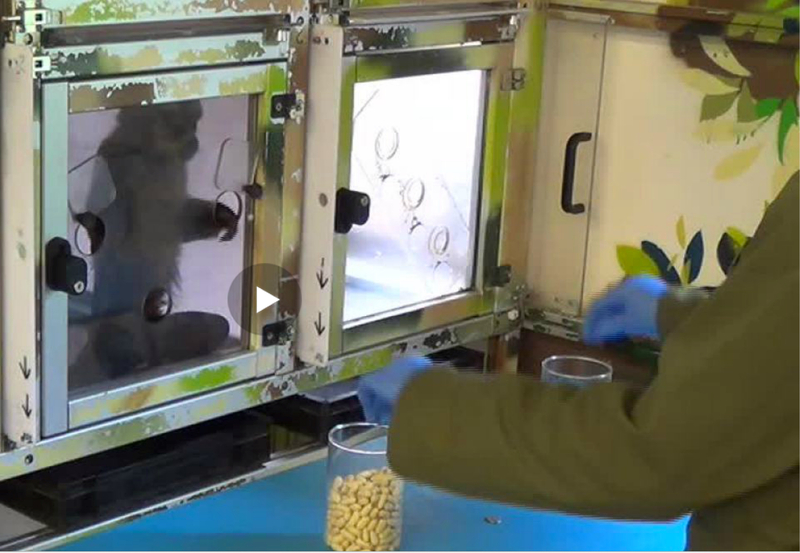 Performance was relatively poor in Experiment 4, so the possibility remains that capuchins may use quantity-based heuristics in some situations, though further work is required to confirm this. Interestingly, performance was not at ceiling in Experiment 1, which did not involve reasoning about proportions, but did involve sampling. This suggests that the sampling task posed demands in addition to reasoning about proportions, possibly related to inhibitory control, working memory, and/or knowledge of object permanence. In addition evidence for higher than apes encephalization quotient and hominin-grade lithic tools capabilities among capuchins we now have experimental evidence for incipient probability inference abilities among this species of New World monkeys.